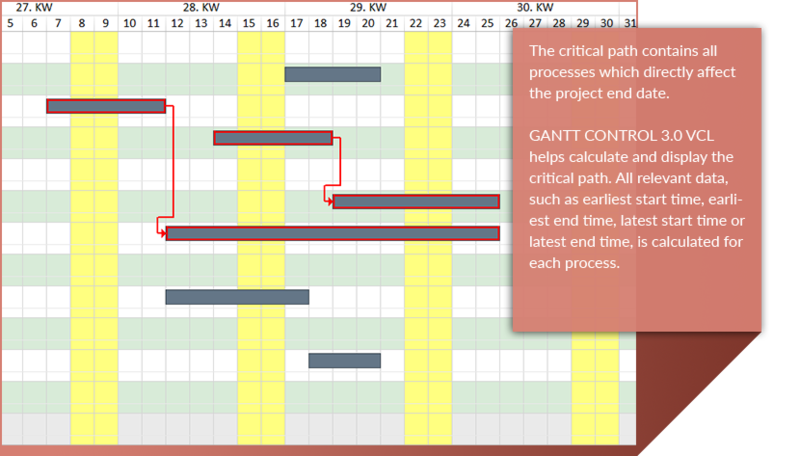 A wide range of tasks and activities can be planned and displayed using the GANTT CONTROL 3.0 VCL component. 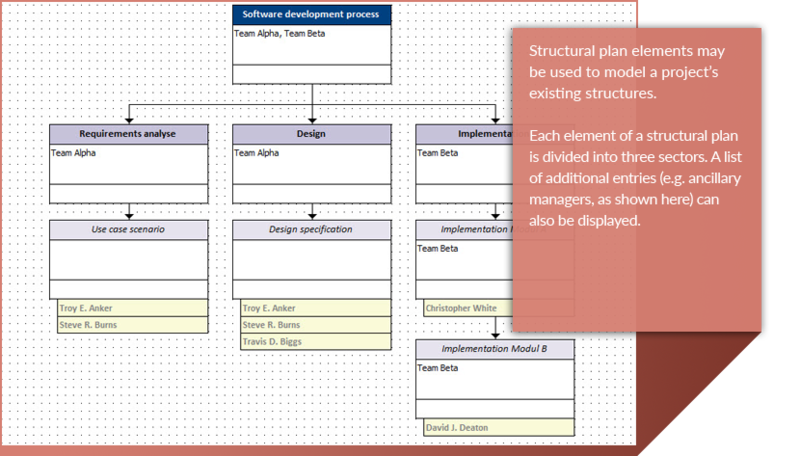 This component is aimed at software developers wanting to expand their software to include a flexible, interactive and innovative Gantt chart. 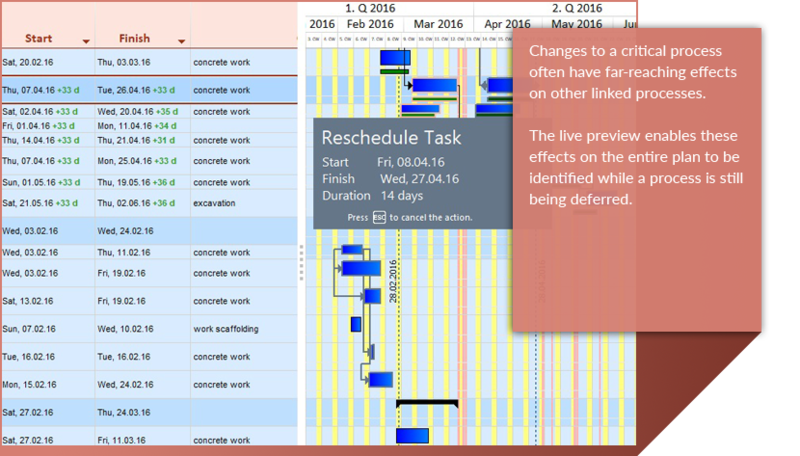 GANTT CONTROL 3.0 VCL was developed from scratch, and provides a number of new functions and features. Delphi XE2, Delphi XE3, Delphi XE4, Delphi XE5, Delphi XE6, Delphi XE7, Delphi XE8, Delphi 10 Seattle, Delphi 10.1 Berlin, Delphi 10.2 Tokyo and Delphi 10.3 Rio. 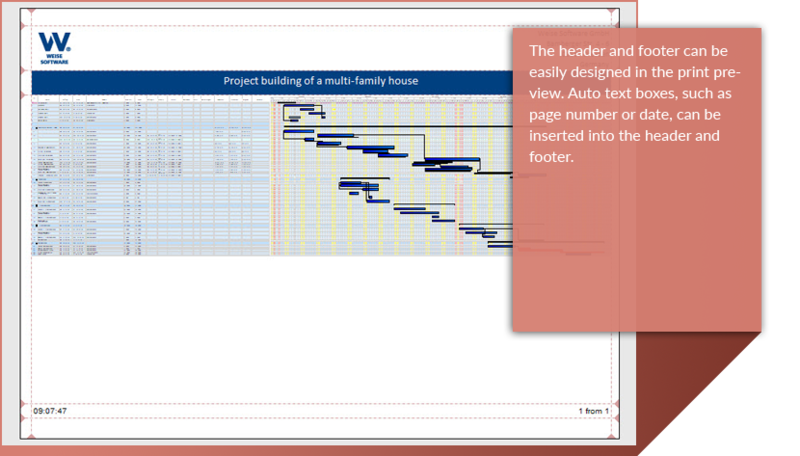 The component can be integrated into 32bit and 64bit Windows-VCL applications. 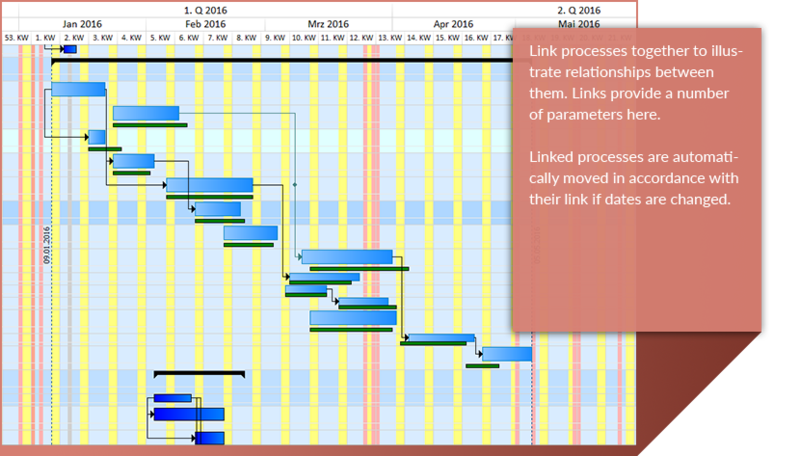 Download the list of all Gantt component features here. 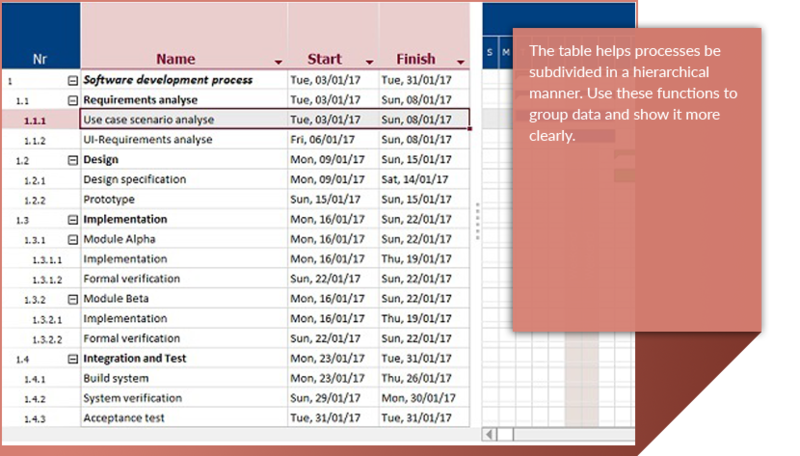 You can test the component as a demo version and download the programming handbook. 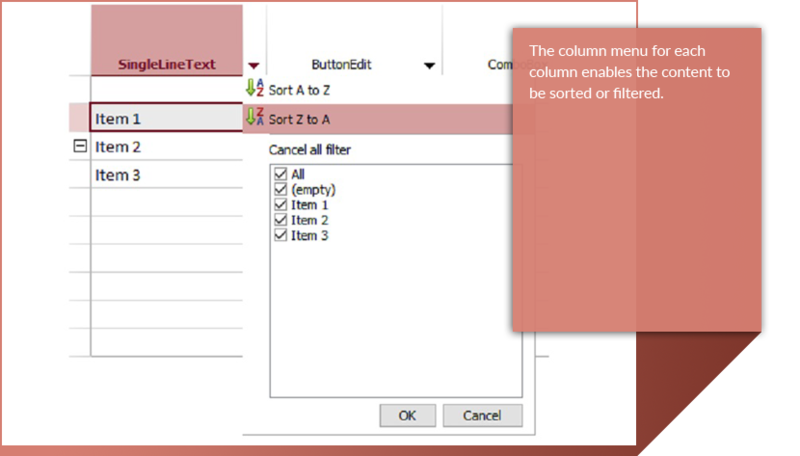 The demo version contains a fully functioning test version of the component, as well as various sample applications. 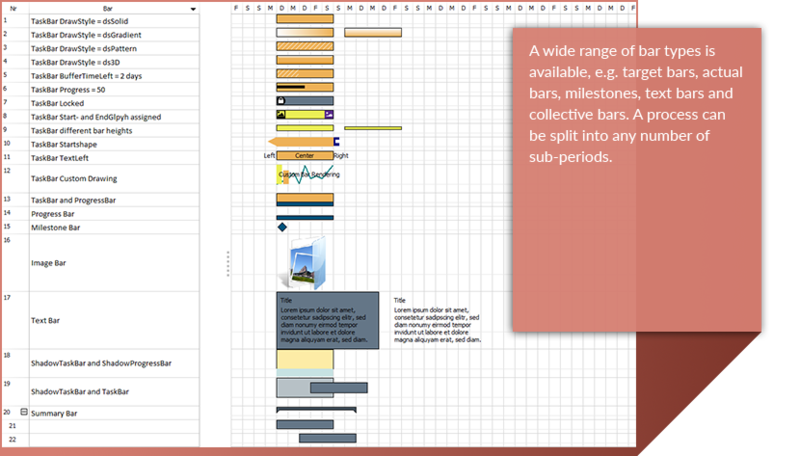 The developer reference contains basic coding examples of the most commonly used applications. 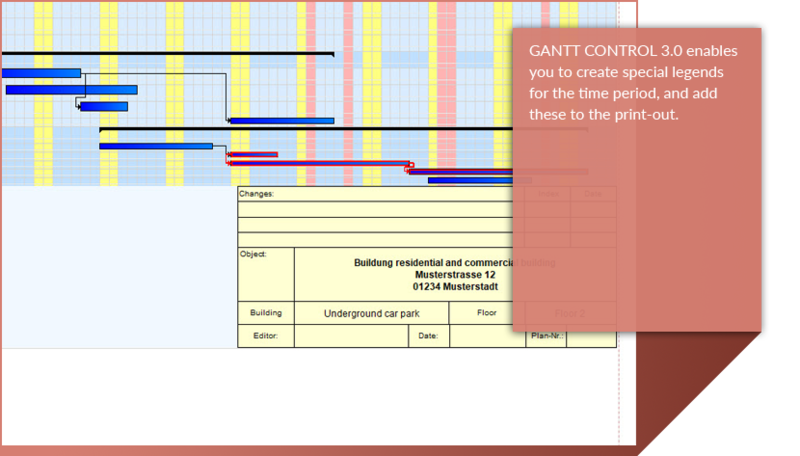 Purchase the Gantt component right here. 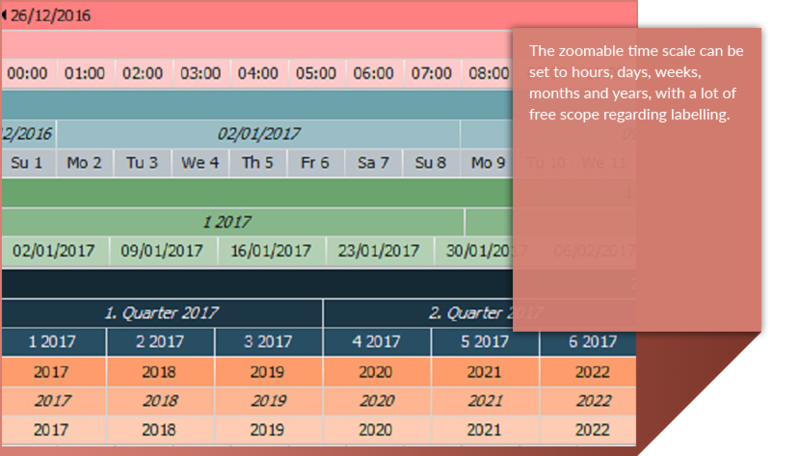 The Support and Maintenance Package (SMP) includes access to all updates, upgrades and troubleshooting for the main version of the component. 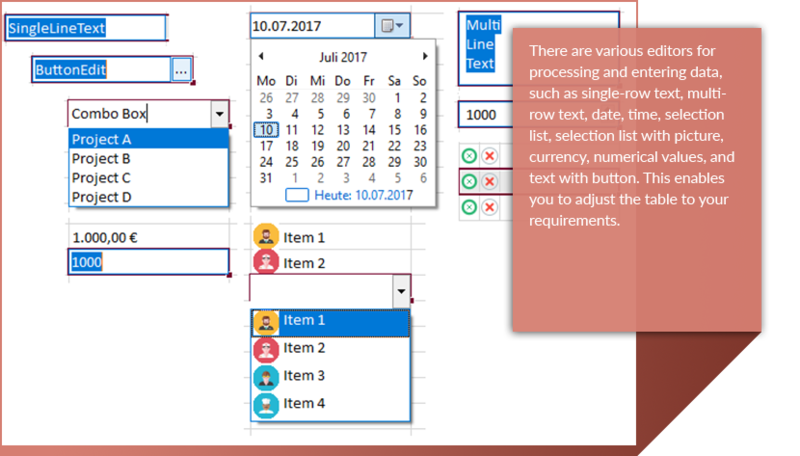 Licence holders of the Support and Maintenance Package (SMP) receive free technical support for the Gantt Control component. 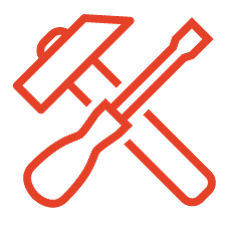 Please email us at support@gantt-component.com if you have any questions, suggestions, requests or problems using the components. 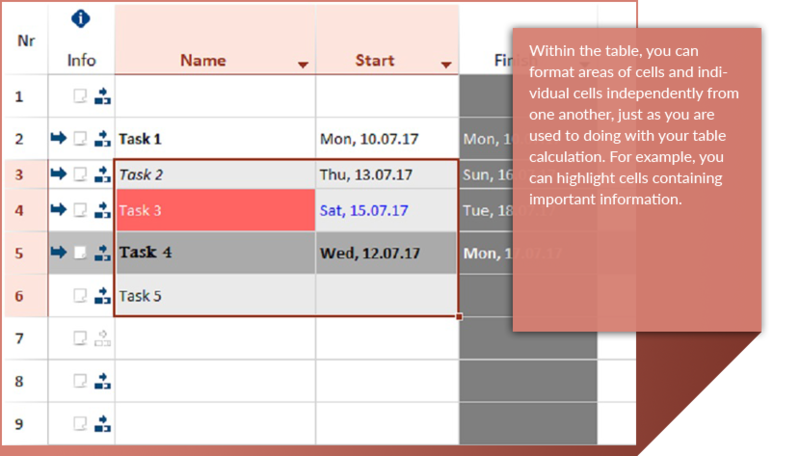 The quickest way for us to help you is if you provide us with a detailed description of the issue and a sample application clearly illustrating the problems and errors. 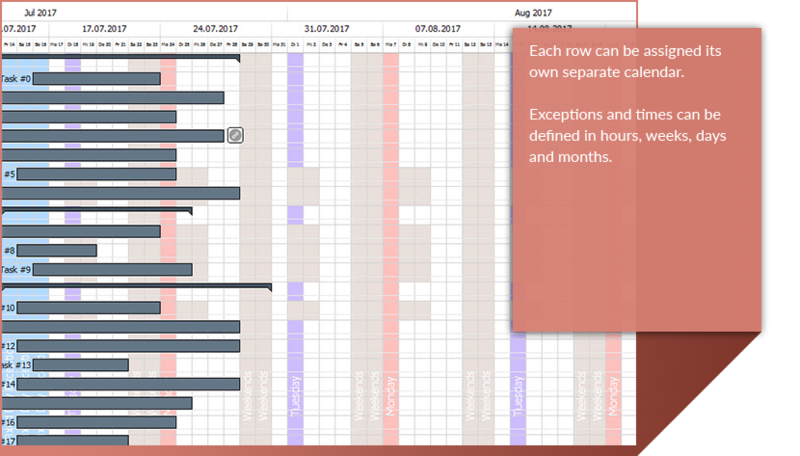 "The Gantt Control component enables software developers to flexibly and extensively display and edit any tasks, processes and activities in their own software applications. 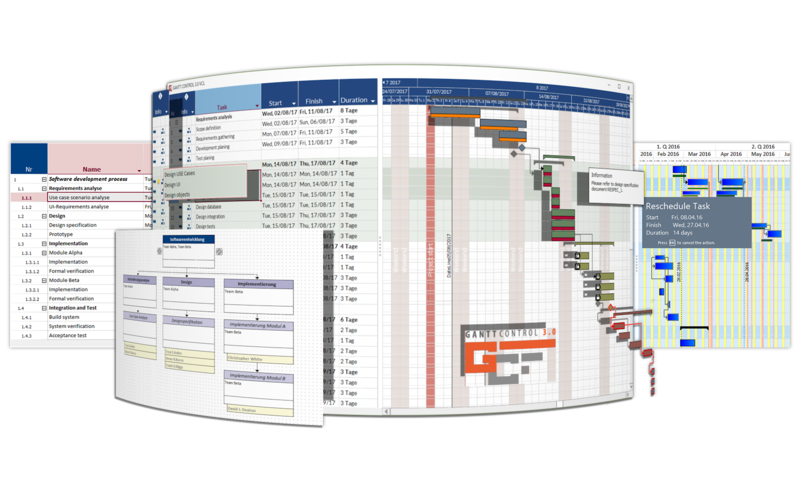 Gantt control can thus adapt to all kinds of task areas. We would love to hear your suggestions and experiences in using the component." The European Commission provides an online dispute resolution (ODR) platform, which can be found here http://ec.europa.eu/consumers/odr/. 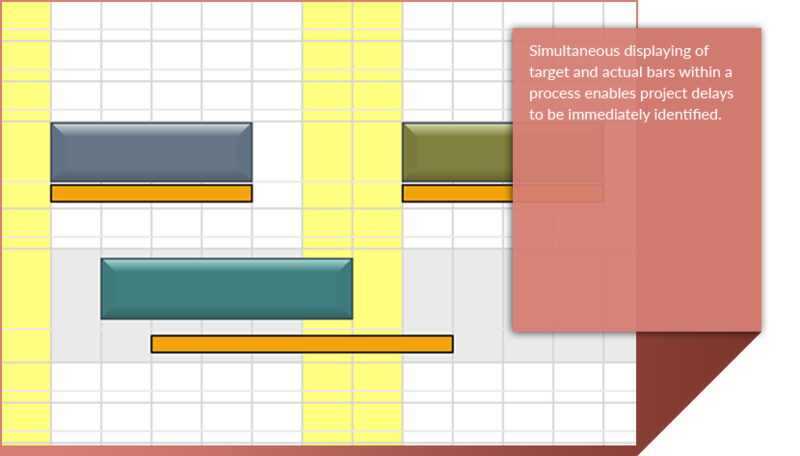 We are prepared to participate in an extrajudicial arbitration process before a consumer arbitration service. 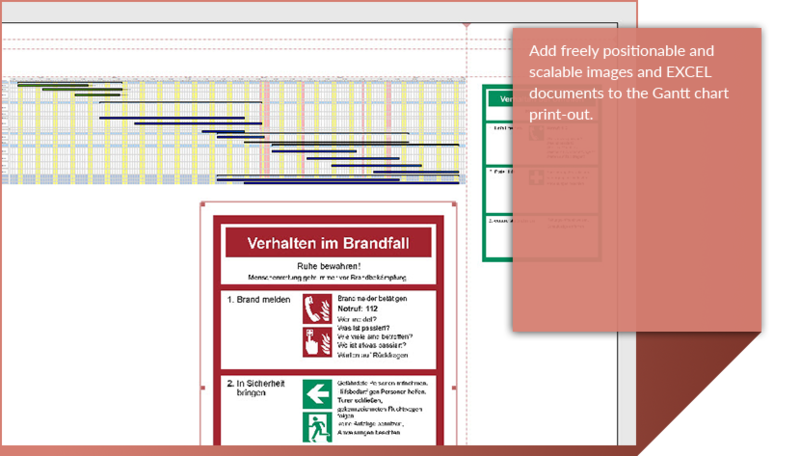 The general consumer arbitration service run by the Zentrum für Schlichtung e.V., Strassburger Strasse 8, 77694 Kehl am Rhein, www.verbraucher-schlichter.de has jurisdiction here.